1. 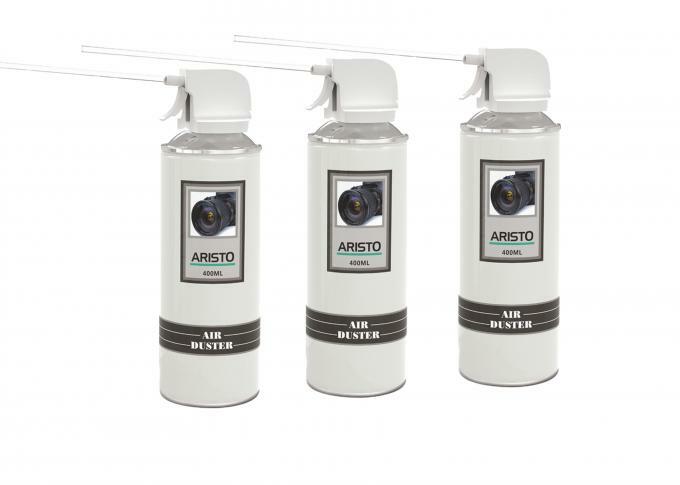 Provide a jet of dry inert pressurized gas for all drying operations or dust removal. 2. Blend of compressed liquid gases, functioning simultaneously as propellant and active product. 3. Quick remove dust particles and other dry contaminants from delicate or inaccessible areas of electrical and electronic equipment. 4. Help to eliminate failures caused by fluids (water, oil,) trapped in dust or dirt. 5. Essential for cleaning operations where liquid solvents are inappropriate. 6. The cleaning is quick and safe, harmless to plastics and other sensitive components. 7. Leave no residue or condensations. 8. Replace the laborious and expensive compressed air cleaning. 9. 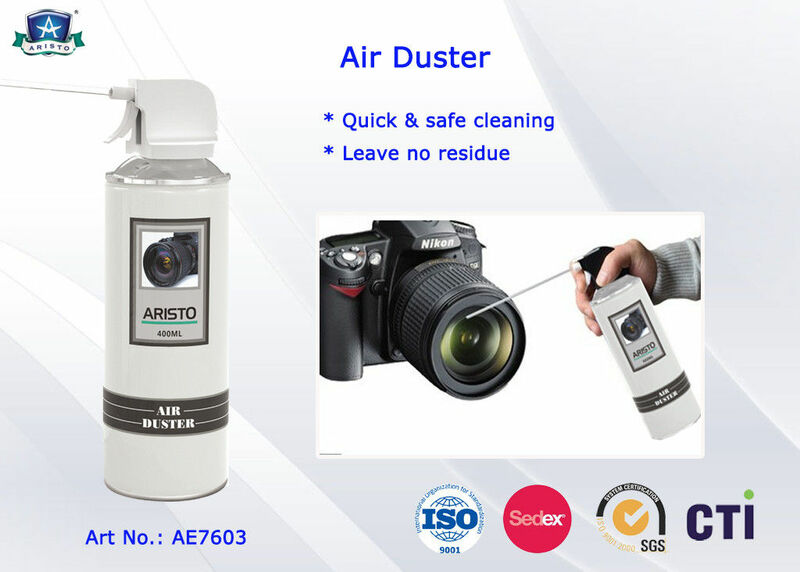 The dusters can be used where it is difficult to remove dust using the conventional methods: Electronic equipment, PCB’s, Cable connections, Data processing & communication equipment, Miniature assemblies, Watch mechanisms, Precision instructions, Video & Cinema equipment, Optics and Lenses, etc..